On one of Chelsea’s most picturesque tree-lined blocks, The Naftali Group, acclaimed development group behind 182 West 82nd and 234 East 23rd Street, has launched sales at The Seymour, a new 12-story apartment building with 49 luxury condominium residences, with rich interior finishes, lounge spaces and boutique hotel-inspired amenities. To accomplish that, Naftali worked with an elite team of specialists to create a building that is unique in the marketplace. Architect Goldstein Hill & West created an authentic, brick-and-metal façade that embodies the neighborhood’s rich heritage and charm, showcased by large floor-to-ceiling casement windows that let light fill the apartments. The lobby and amenities are designed by McGinley Design, with residential finishes byRottet Studio. “The design of the interiors is tailored and refined,” said Naftali. “We worked with the best craftsmen and designers and collaborated to create homes that have great attention to detail.” With wire brushed solid oak floors and the highest quality finishes, residences at The Seymour are inviting and comfortable, with incredible light and views through floor-to-ceiling casement windows. The residences, comprised of one, two and three-bedrooms, range from 720 square feet to 2,029 square feet. Prices start at $1.2 million. The kitchens in The Seymour combine meticulous attention to detail and beautiful workspaces. From the warm, rift cut oak cabinetry to the handstitched, leather wrapped hardware and Calcutta Gold backsplash, these extraordinary designs marry the finest materials with Bertazzoni, Miele and SubZero appliances. 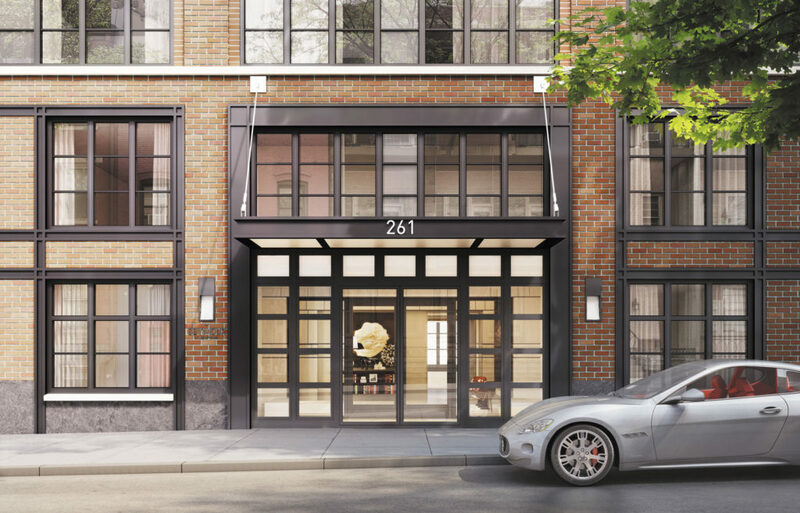 Residents at The Seymour will have access to bespoke amenities. Centered around a herringbone brick courtyard, the amenities include a state-of-the art fitness center bathed in natural light, and a resident’s lounge with a fireplace, a billiards table, bar and a separate screening lounge. Also available for purchase is a private roof-top cabana with views of Manhattan’s iconic skyline. The building will also feature a full time doorman and concierge service as well as individual private storage units and bicycle storage. Occupancy is expected in the third quarter of 2015. For more information, please visit the website at www.seymournyc.com or call the sales gallery, located at 142 West 23rd Street, at 212.285.2525.